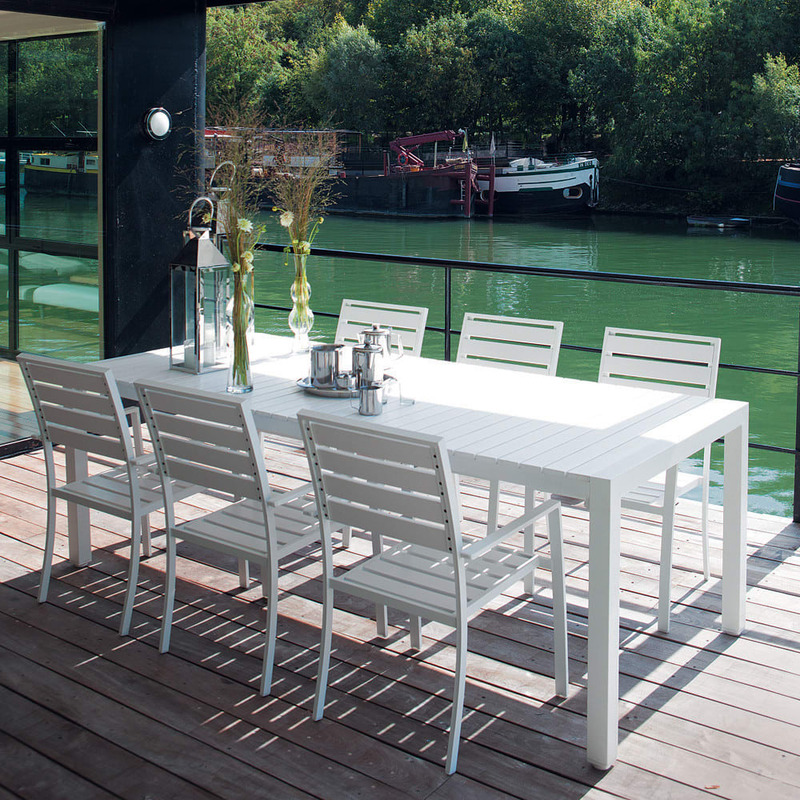 Keep time with the ocean at the Portofino dining table. 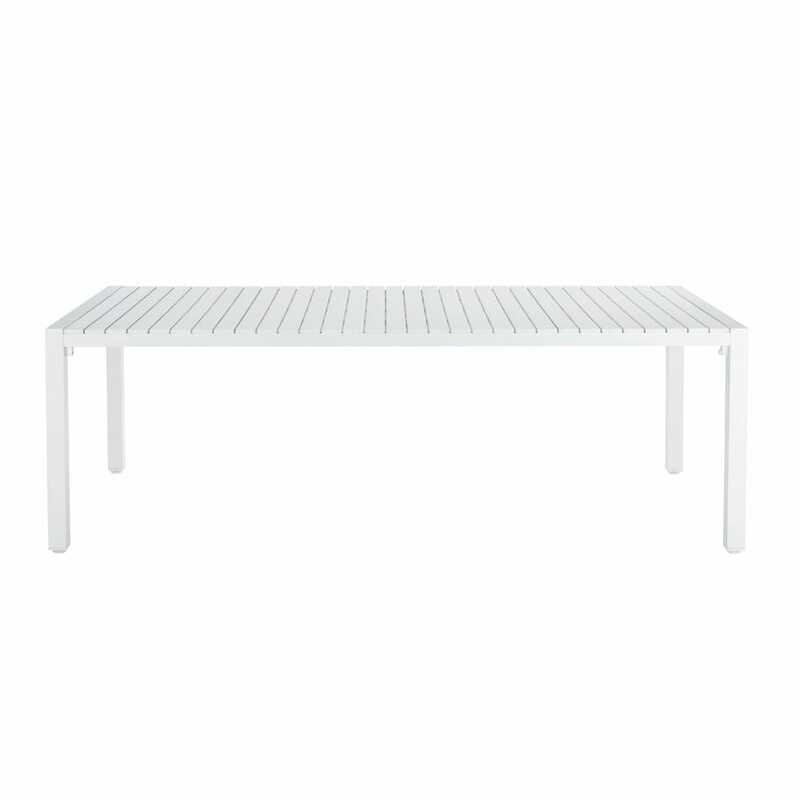 With a yachting inspiration, this rectangular table with clean lines comes in treated white aluminium. 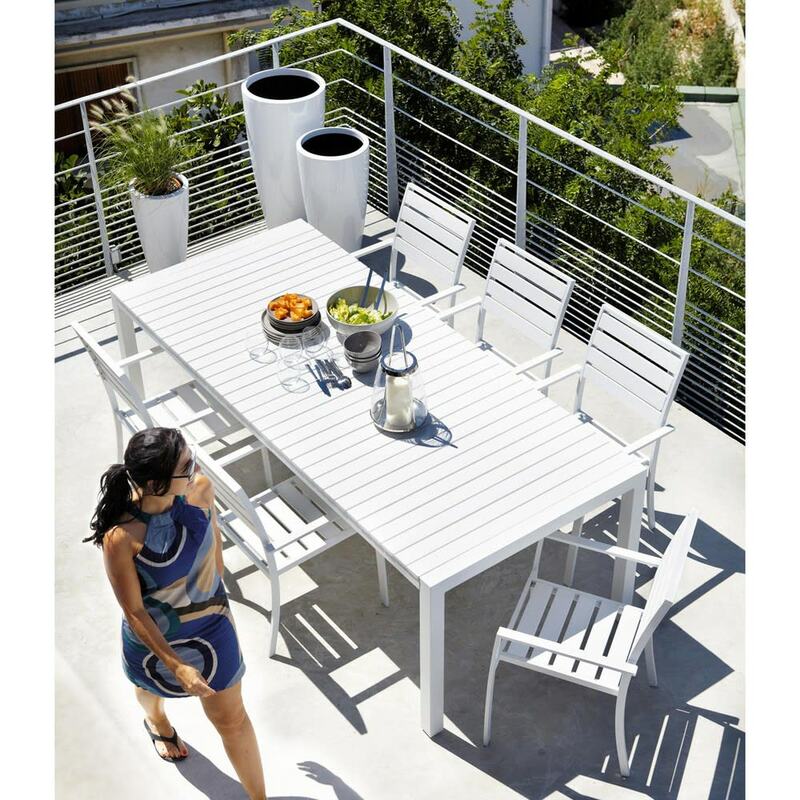 This water resistant white garden table is fitted with strips of a wood imitation composite. 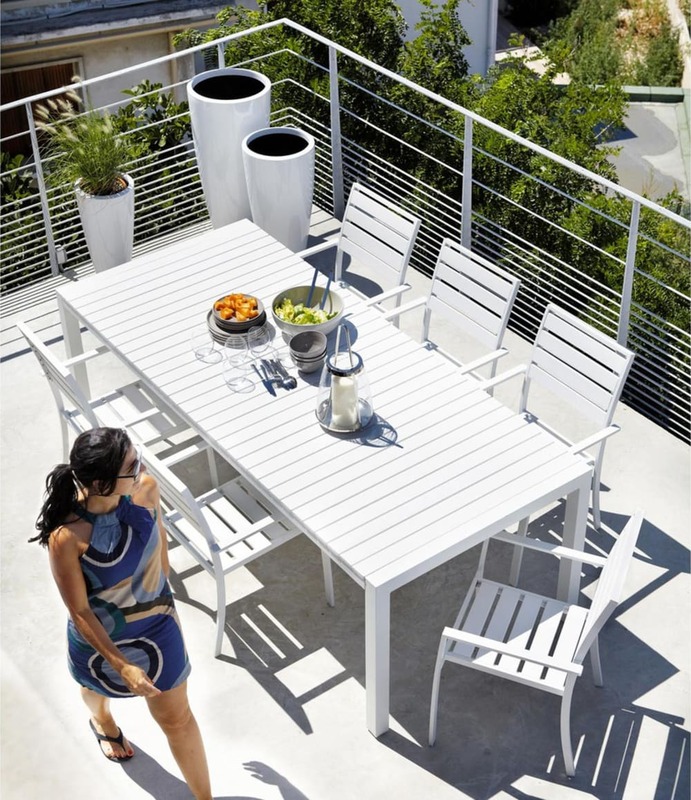 A classic line of outdoor furniture that won’t disappoint.